Welcome to Smarten Up Institute! The Smarten Up Institute is Canada’s premier center for finance education and securities training. We help firms increase their staff's knowledge to fully understand how business and finance works in the real world. Great in class and customized instruction led by the industry's best and most respected experts. We are the most unique training and knowledge institute in the financial industry because we share our expertise in order to grow yours. 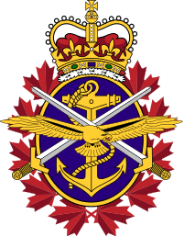 WE SUPPORT OUR ROYAL CANADIAN ARMED FORCES. We are working to ensure Canadian Vets get hired into the financial industry. How? We train them and then place them into real honest to goodness jobs with our industry partners. Let us know if you want to help. If your aim is to be your organization’s smartest resource, start by registering at Smarten Up Institute... be smart... ENROLL TODAY! SUI provides a series of live online chat forums providing direct access to some of the brightest and most controversial minds in the financial industry. We provide a high-quality, web technology experience, covering a variety of relevant topics to the financial industry. The Smart Mentor Program® is a one year certificate program designed for participants that demonstrate both direct knowledge of the financial industry and significant leadership skills. We provide bespoke in house training, customized classrooms, access to industry experts, and networking with a larger audience of educational talent. With other educational institutions to bring you an excellent opportunity to be part of a larger network of growing professionals and access to the best educational resources.